HomeFishkeepingHow Much Time Do You Need For Fishkeeping? Just like any other hobby, fishkeeping will require a certain amount of your time each week. If you were starting golf or gardening you’d allow yourself so much time per week depending on how seriously you want to take your new hobby. It’s important to decide how much time you want to spend on fishkeeping, before you decide on the fish species you want to keep, and the size of your tank. It’s pointless buying exotic species if you only have a few spare minutes a week to spend caring for them. 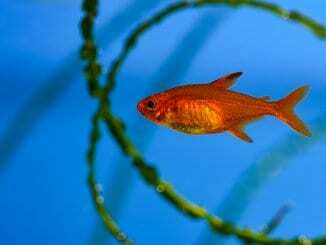 This article is going to look at the different stages of fishkeeping, and how much time to allocate to each stage; from researching, setting up and cycling, to maintaining and feeding your fish. This stage will take a lot longer than most people realize. 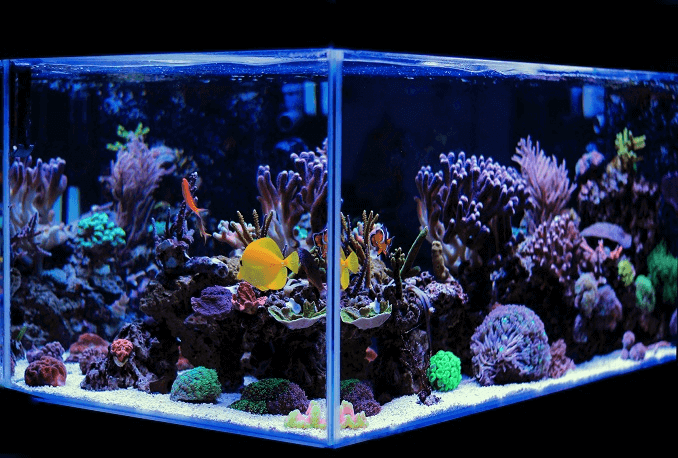 First of all you’ll need to decide whether you want a saltwater or a freshwater tank. Most beginners tend to opt for a freshwater tank as they are generally easier to maintain, and the fish are usually hardier. Whichever set up you decide to go for, both require a lot of time in the researching phase. There are a vast amount of options out there, and often pet shops do not have the expertise or the time to explain the ins and outs of fishkeeping. That’s why we recommend going to a specialist fish store, and doing the majority of your research online. First, you’ll need to research the type of fish you want to keep, and then the type and size of your tank. You’ll need to learn about the water conditions and ecosystem that the particular type of fish requires. Do you want a fish only tank or a reef tank? There are so many questions to be answered and the only way to do this is to get stuck in and start researching. 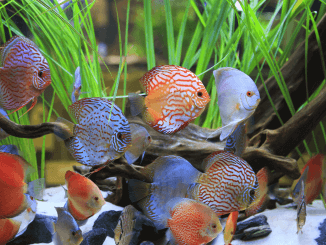 Deciding to set up a fish tank is certainly not something that should be rushed into, this stage will take weeks, possibly months in order to learn enough about keeping fish, and in particular, the specific breeds you want to keep. Whilst we’re talking about purchasing tanks, many people think that as a beginner, they should start off with a small tank. This is probably one of the worst assumptions you can make. The water conditions in small tanks are much more difficult to maintain and keep stable. You should choose a larger tank which can hold a large volume of water as it is easier to keep stable – surprisingly you’ll also spend less time worrying about maintenance and water changes with a larger tank. When you have decided which fish you want, and the tank size and equipment requirements. You’ll need to purchase your tank and spend time setting it up. This can take anywhere from a few hours to a day depending on the size, and type, of your tank. 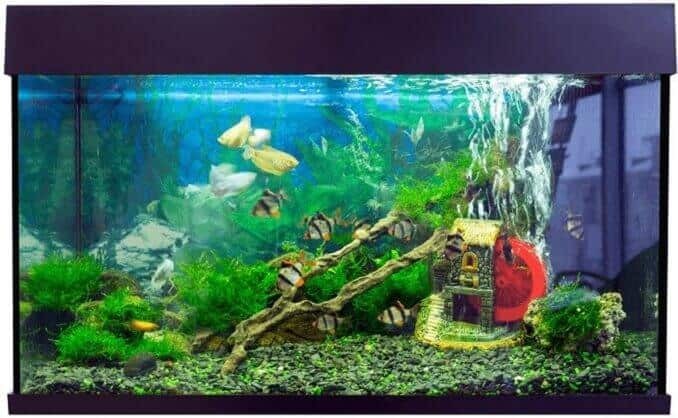 For example, a freshwater tank will simply require you to set the stand and tank up in your chosen place, add the gravel and water, and then add the filter and heater (if you need one). 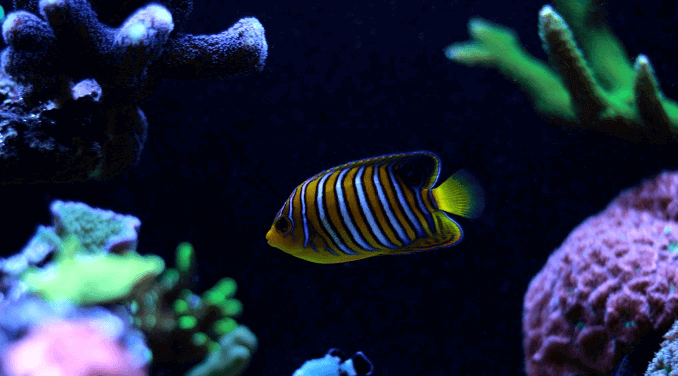 A saltwater tank may take up to a week to prepare depending on what you add. 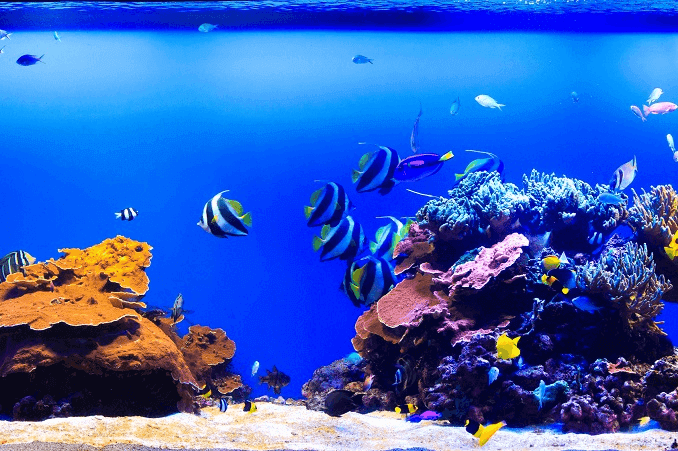 The reason most saltwater tanks take longer to set up is because you’ll need to prepare the water before you add it, install your sump (if your tank requires one) and the filter + heater. You’ll then need to check your tank over (for leaks etc.) and ensure all the equipment works. Depending on what you add to your tank in terms of live rock and sand, you’ll also need to give the tank water time to clear with the filters and pumps running – this can take up to a couple of days. Just because you have your tank setup doesn’t mean you can start filling it with fish straight away – putting too many fish in too early or overstocking your tank is one of the biggest mistakes you can make. This is where cycling your tank comes in. Cycling your tank, in simple terms, means you are building up bacteria in your filter to remove toxins created by your fish. This process can take up to a couple of months. To begin the cycling process, you’ll need to add one or two small fish into your tank to provide the ammonia which is needed to start the bacteria multiplying. You should choose hardy fish and ideally they should be fish that you want to include in your tank in the long run too. Once you’ve added the fish, you should leave it for a couple of days, and feed the fish carefully ensuring you don’t feed them any excess which will affect the water. Every couple of days you should do a 10-15% water change, and test your water after a week – it should test with high ammonia levels and perhaps a trace of nitrite. Most fish stores will test for free if you don’t have your own testing kit. The cycling process normally takes anywhere from six to eight weeks. You’ll know the process is finished when the nitrite and ammonia levels have dropped to trace levels. Ammonia and nitrite tests should be at 0 for eight consecutive days before you can consider your cycle finished. You’ll also know when your fish tank is cycled because the fish will show no sign of ammonia stress for at least two weeks. Once your tank has cycled, you can slowly start building up your fish (depending on the size of your tank). The process of adding a fish to your tank can take up to a few hours. You’ll need to make sure you keep the fish in dark conditions and acclimatize them slowly to their new setting. Keep all the lights off and float the unopened bag in the water, until the temperature of the water in the bag is the same as the tank. This usually takes around twenty minutes. You should slowly start adding tank water to the bag, until the bag is made up mostly of tank water – this should take around an hour. You can then catch the fish with a small net and add it to the tank. Don’t tip the water from the bag in. You’ll also need time to observe the new fish during the hour after it’s been added to check it’s settling in OK, and not being bullied by the other fish. 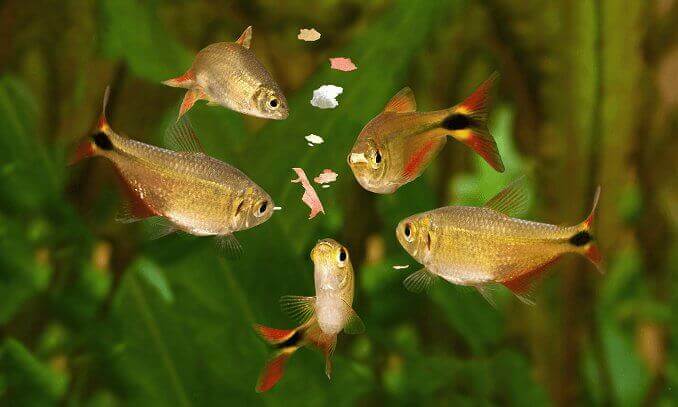 Like most things that this article covers, the length of time you’ll spend on feeding is entirely dependent on which species you keep and how many. What is true of the majority of fish though is that they will need one to two feeding sessions per day, each around 5 minutes long. It’s really important to make sure no food is left in the tank at the end of the feeding session, because as the food breaks down it will affect the water. When you first start keeping fish, you should experiment with different amounts until you find the right amount for your fish – this will obviously require more time at the beginning but as soon as you know how much food they require it will only take 5-10 minutes per day. You may also choose to make your own fish food which will add to the time it takes to care for your fish. However there are many benefits to preparing your own food, the best one being – you can provide your fish with the exact nutrients that they need. Your water conditions are the basis for keeping your fish healthy. Any illnesses or problems can usually be traced back to incorrect water conditions. You should test your water’s pH balance once a month. The pH should stay as stable as possible; even a small sudden change can cause your fish stress which can ultimately kill them. You should also test the water for ammonia once a month – it is extremely toxic to fish and should be dealt with quickly. Ammonia levels may be raised if you overstock your tank, or don’t do water changes regularly enough. Nitrite and nitrate levels also need to be checked monthly. There is a lot of variation amongst aquarists about how often and how much water you should change in your tank and this also varies depending on the size. As a general rule though, you should change 10-15% of your water each week. This should not be a lengthy process. You simply need to remove 10-15% of the water and replace it. If you have gravel, you’ll also need to clean that. During your water change, you can scrub off any algae. With regards to cleaning the decorations, this is not necessary, it just creates unnecessary work. While we’re on the topic of decorations, have a look at what not to put in your tank here. The bacteria that builds up on your decorations is most likely beneficial to the biological filter, and by cleaning them you’ll be killing the bacteria. This whole process should take around half an hour to an hour depending on your tank size. This advice applies to tanks that are 10 gallons and above, water changes for small tanks are actually a lot more time consuming. Small tanks require at least two 50% water changes per week in order to keep the water conditions stabilized. You’ll need to dedicate time to routinely checking your equipment. To clean the sponges in your filter, you should rinse them in the water that you have removed from the tank, rather than under the tap. Running any of your tank equipment under tap water can kill off the bacteria which are needed in order to keep your fish healthy. Keep an eye on your heaters; if they stop working correctly the temperature can change quickly leading to fish loss. If you have an under gravel filter, you’ll need to stay on top of maintaining your tank. You should use a syphon-powered gravel cleaner every one to two weeks. You might find that you need to spend more time caring for your fish during unexpected and unplanned events such as illnesses, or bullying. Both of these events may result in your fish being put in isolation. If you need to put your fish in isolation, you’ll need a separate tank which will require time to set up, and transfer the fish. In some cases your fish may need medications; however these should only be used in some circumstances. Administering medication will also take time, which will vary depending on how serious the infection or illness is. Depending on how seriously you want to take your fish keeping hobby, you can end up dedicating quite a bit of time caring for your fish. Thoroughly research the species you want to keep and the type of tank you’ll need for them. This should take a minimum of a couple of weeks. Cycling your tank. This can take up to eight weeks, longer if anything goes wrong and you need to start over. This is a really important step to be aware of. You can’t rush cycling your tank in order to add fish. Take your time on this stage so that you don’t hit problems further down the road. Tank Maintenance. This is an ongoing time commitment which you should be prepared It includes partial water changes, and checking over your equipment. You can expect to spend a minimum of half an hour per week on tank maintenance. The main point this article has tried to get across is that every species and every tank will require different time commitments. 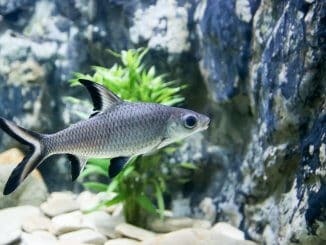 You should make sure that you know how much time you’ll need to spend on your tank before decide whether to keep fish. More often than not, the fishkeeping hobby can become very time consuming – which is great if you love the hobby! How much time do you spend caring for your fish? Would you say it’s more or less time consuming that other pets? Let us know in the comments below. hi i am new to setting up an tropical fishtank its been running now for 3 days it has wood rocks and some plants in and on some of the wood i think its algae its like clean stuff on ends of the wood so theirs no fish in the tank as of yet as just starting up so need some advice about it. Feel free to email me a photo and I’ll see if I can help.